Berkery Noyes Represents SmartPros, Ltd. in its Sale to Kaplan, Inc. - Berkery, Noyes & Co., LLC. Berkery Noyes Represents SmartPros, Ltd. in its Sale to Kaplan, Inc.
New York, December 22, 2015 – Berkery Noyes, a leading independent investment bank providing mergers & acquisitions advisory services to the information and education markets, announced today that it advised SmartPros, Ltd. in its sale to Kaplan, Inc., the global education services company and largest subsidiary of Graham Holdings (NYSE:GHC). SmartPros is an industry leader in the field of accredited professional education and corporate training for professionals in corporate and public accounting, financial management, financial services, banking, law and engineering. SmartPros serves Fortune 500 companies, the major public accounting firms, financial organizations and associations through its subscription libraries with hundreds of course titles and 2,800 plus hours of accredited education. SmartPros has also developed, marketed, and licensed its proprietary software, the Learning Management System (LMS) for online courseware for education and training companies and the Audit Management System (AMS) for compliance solutions in financial organizations. 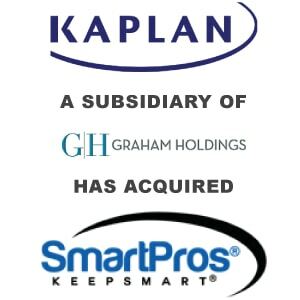 As a result of the shareholder approval of the merger, SmartPros has ceased being a public company and has become a unit within Kaplan Professional Education. The combination is a win-win outcome for both companies due to their complementary products, services and markets and respective outstanding customer reputations for quality products and service. Kaplan, Inc., a subsidiary of Graham Holdings Company (NYSE:GHC), serves over 1.2 million students globally each year through its array of higher education, test preparation, professional education, English-language training, and university preparation, and offerings to individuals, institutions, and businesses. For more information, please visit www.kaplan.com. Berkery Noyes provides strategic mergers and acquisitions advisory services to middle-market companies in the United States and internationally. 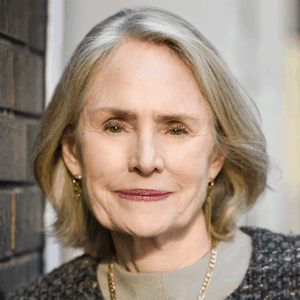 Berkery Noyes has been involved in many notable transactions in the information and education sectors, including Thomson Reuters’ acquisition of Discovery Logic, Inc.; Iron Data’s acquisition of Versa Systems, Inc.; Internet Brands acquisition of Nolo, Inc.; Random House’s acquisition of Ten Speed Press; Gale’s acquisition of HighBeam; Wicks’ acquisition of The Gordian Group; Berlitz’ acquisition of Second Language Testing Inc.; Oxford University Press’ acquisition of Roxbury; Cambium Learning Group’s acquisition of Class.com; Weld North’s acquisition of JBHM Education Group LLC; The Riverside Company’s acquisition of BankersEdge; and Informa PLC’s acquisition of M.E. Sharpe. For more information, please visit www.berkerynoyes.com.